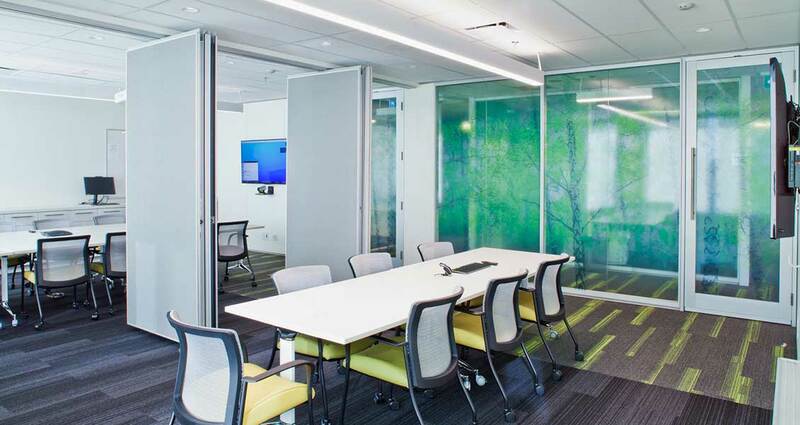 Thinkspace was retained by Vancouver Coastal Health Authority for the design and construction for creating space and accommodating a new Occupational Stress and Injury (OSI) Clinic in Vancouver, BC, in order to enable the Clinic to expand their services. OSI is committed to four key areas – assessment, treatment, networking and research in its efforts to understand and successfully treat clients and their families who have occupational stress injuries. 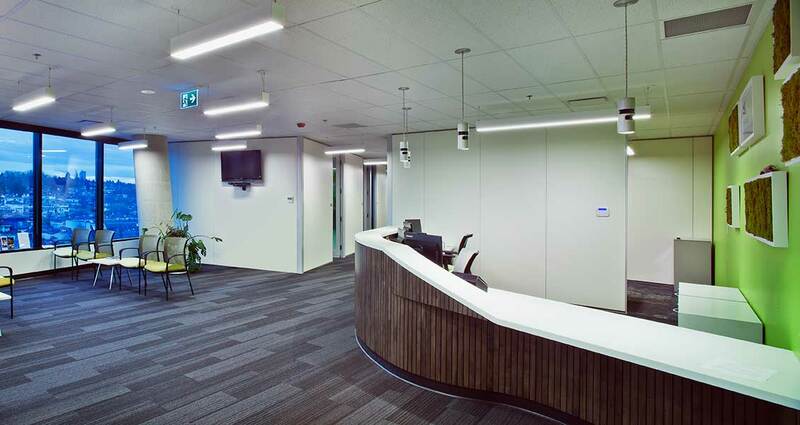 The scope of the project included employee spaces such as management offices, administrative personnel offices or workstations, mail and copy rooms, file and other storage areas, washrooms, lunchrooms, meeting rooms. All client areas were required to be handicapped accessible, including parking, reception, waiting areas and assessment, treatment or examination rooms. Quiet rooms, for stressed clients, or to have private conversations with staff, had to be available near the reception or waiting room area. The design has delivered a light filled, friendly, welcoming, calming atmosphere which simultaneously allows for privacy and visibility. 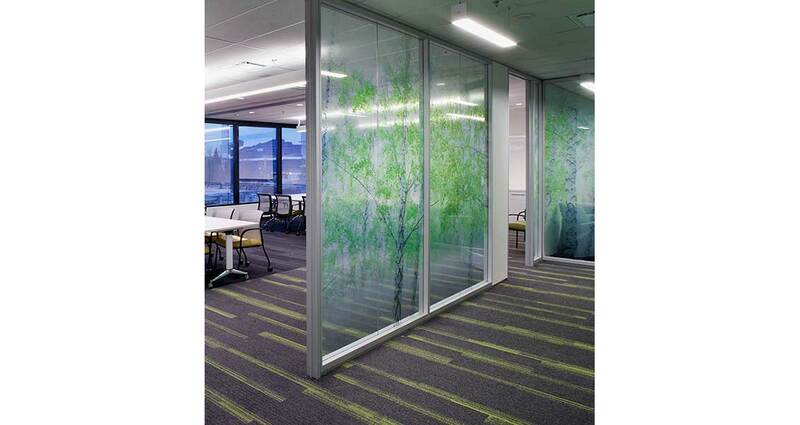 Flexibility within the space was critical, providing spaces of different sizes and volumes to furnish users with a choice of options as to how to conduct their work and connect with those around them. The concept includes utilization and accommodation of technology as well as flexibility within and between the spaces with varying levels of transparency. 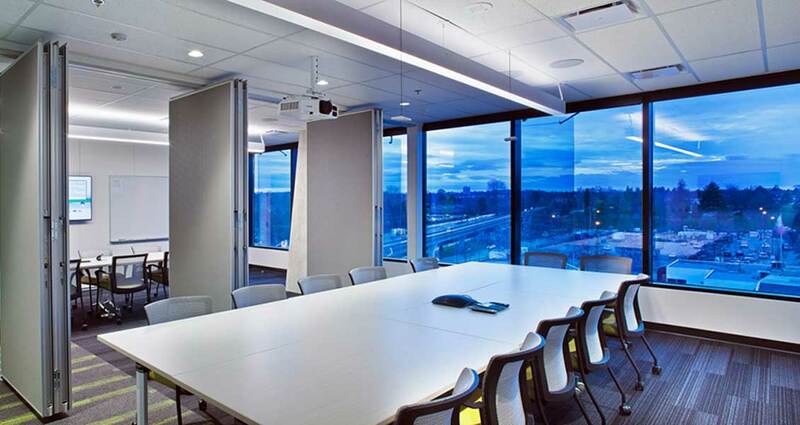 We provided long-term adaptability within the area to accommodate the continuous evolution of technology in the workplace. The use of furniture was also incorporated into the design to create a welcoming atmosphere to draw people into the space.